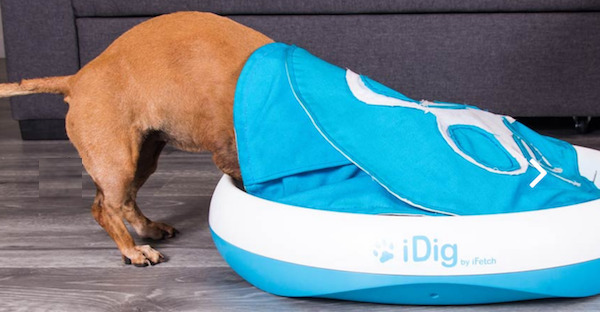 As we know, dogs love to fetch; thus the iFetch. 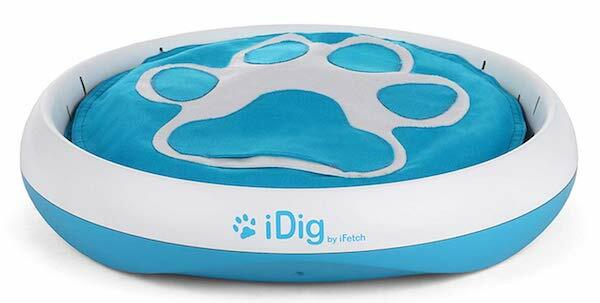 But dogs also love to dig, so the inventors of the iFetch created the iDig. 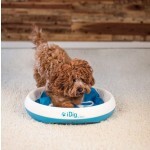 iFetch is known for making one of the first automatic ball launchers for dogs. 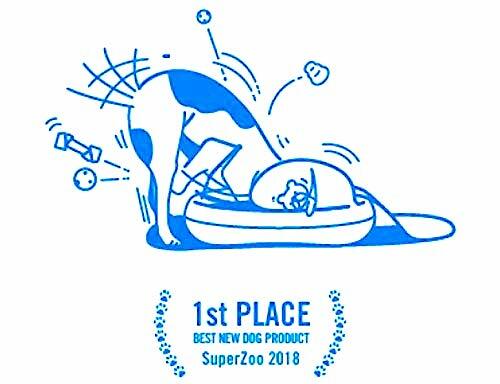 It was a SuperZoo award winner back in 2013! 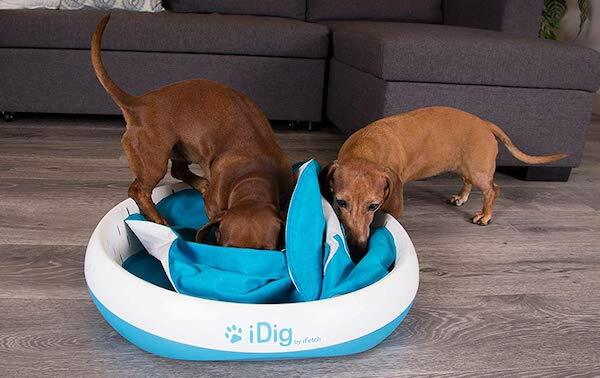 Now, its new dog toy, the iDig, won First Place for the Best New Dog Product at SuperZoo 2018, with the claim that it's the first digging toy for dogs. What exactly is the iDig? First, there are two models of the iDig - the iDig Stay and the iDig Go. In both models desirable toys or treats can be hidden in the toy and your dog gets to find them. The digging part is all part of the search... and the frustration. Here, the iDig Stay looks pretty benign. But wait until your dogs get a hold of it. 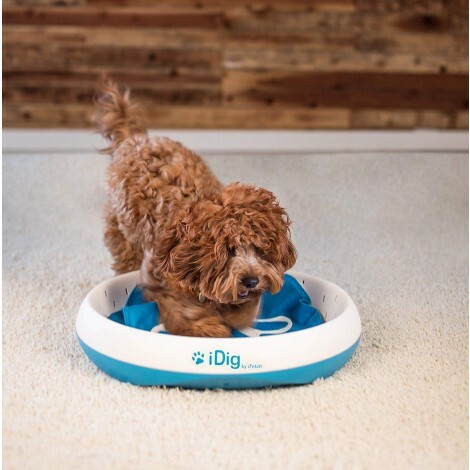 The iDig Stay has a sturdy, hard plastic base giving the toy stability, and can be used by large and small dogs. 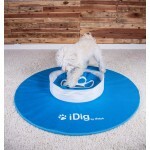 The iDig Stay weighs 5 pounds, is 21.5 inches in diameter, and is 4.1 inches tall. Inside the base are three round canvas pockets, "flaps," to stash your dog's stuff. 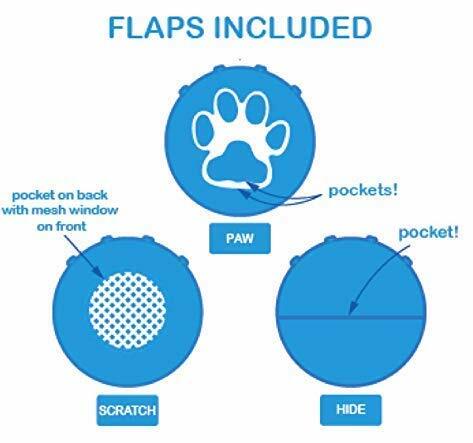 Each flap presents a different challenge to your pup, as treats are hidden in different ways. All involve your dog's sniffing, scratching, and digging efforts to result in your dog's exhaustion if she's challenged. The flaps are also machine washable, which saves your own energy. Best Dog Toy at New Product Showcase, SuperZoo 2018! The iDig Go was designed to be a portable device, one that you can fold up and store. But if your dog is very large and/or rough with toys, you may prefer the iDig Stay. The iDig Go has a 42 inch diameter when open and, when folded, it is 16.5 inches in diameter. It is 4.5 inches high and weighs 4 pounds. Other than than that, the iDig Go is the same as the iDig Stay. Here's a great video, so you can see what these toys are like in action! 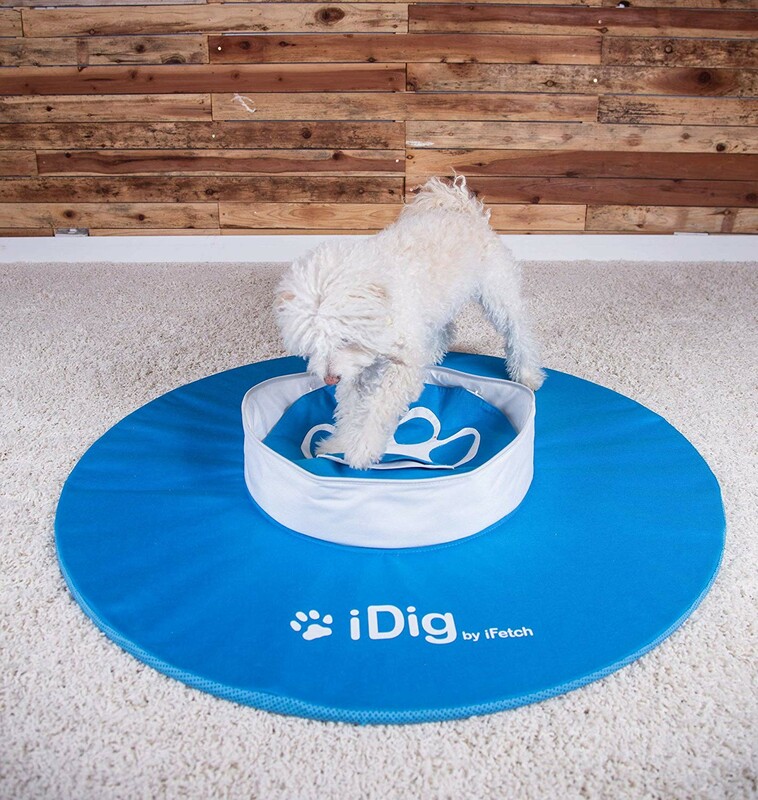 iFetch is a family business in Austin, Texas, run by three generations of Hammill's. 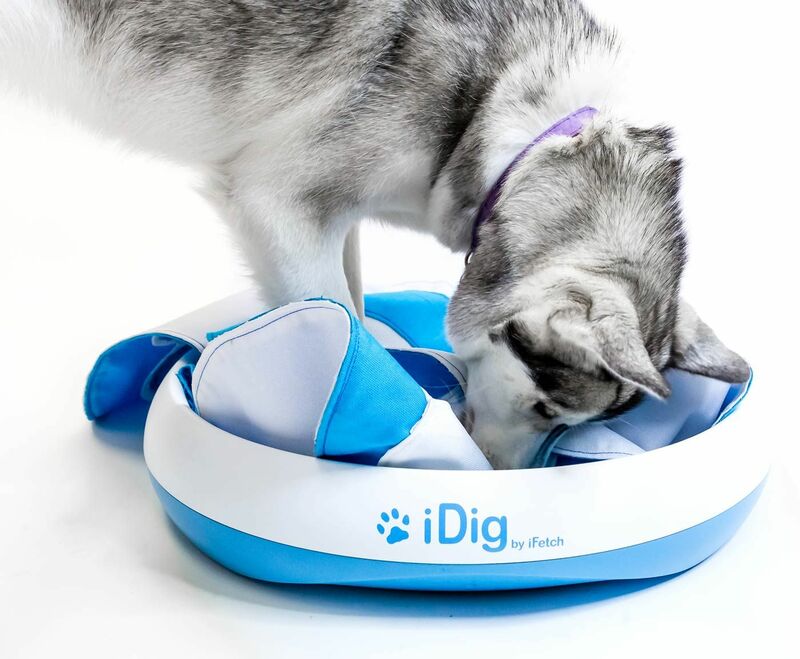 The inventors of the iFetch and the iDig are grandfather and grandson Hammill. The Hammill's not only invented, developed, and marketed their products, but they came up with an idea to save some shelter dogs with their products. 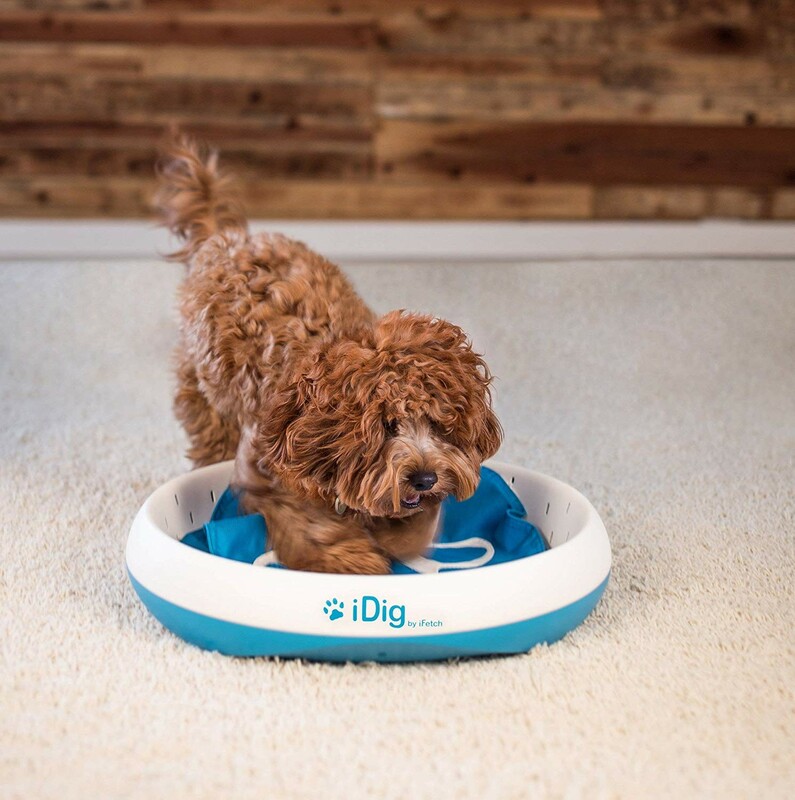 With the notion that more dogs would be adopted if they looked playful, the Hammill's started iFetch a Family, providing its iFetch and iDig toys to shelters and families who adopt.